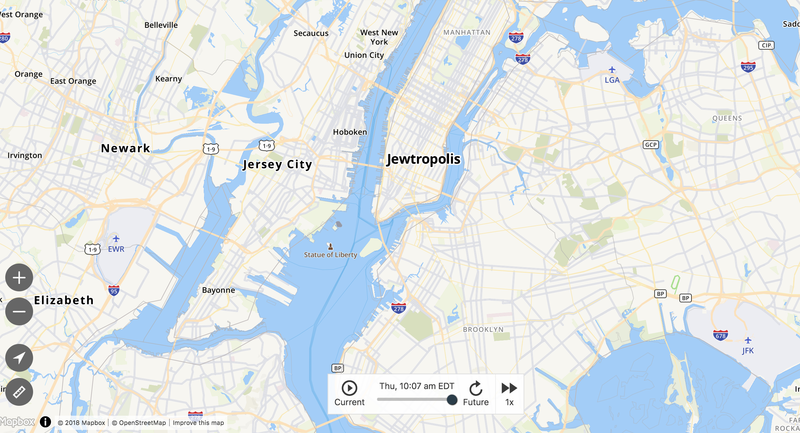 Map features in Snapchat and other popular mobile apps, including The Weather Channel and Citi Bike, referred to New York City as “Jewtropolis” on Thursday in what appears to have been an anti-Semitic act of digital vandalism. Each of the affected apps uses mapping company Mapbox for their mapping features. Mapbox in turn relies partially on user-generated information, apparently opening the door to such attacks.